As I read it over (with my fingers crossed), I realized I might be able to adapt it for the Weird West after all. Instead of the Greyhound bus, my adventurers had hitched a ride on a covered wagon away from Sioux Country (where they had been pursuing a bounty on a chieftain). The general store/post office was just about already perfect. I just needed to adjust Marla and Albert’s timeline, and make the Hunt an annual occurrence. Albert Ebenburg needed but have been a veteran of some nameless conflict with the Sioux, and from there everything went flawlessly. At the chapel I changed it so that the infodump was interrupted by the appearance of Albert himself. The Hounds made quick work of the priest, who fell after telling the tragic tale. After they’d beaten back the boss, the priest said through bloody lips to seek out Marla’s resting place, though death cut him short, giving them just enough of a hint but not just feeding them the clue on a silver spoon. At the end I revealed to my players that the scenario has actually been written for the modern day. “That would have been a lot more farfetched,” one commented. I guess in Deadlands, at least, the horrific is taken as a given. Three out of four of my players had never played Savage Worlds before, and again I was pleased with how quickly they picked it up. Now that I’d DM’ed it twice (once in a Firefly setting and another as a Casino heist) the mechanics worked out smoothly, and I was able to explain the rules as they came up. I only wish I’d had the Backlash table from the Deadlands Grand Marshal handbook, as I had to improvise when our Huckster’s luck against the manitou ran out. I figured the fear table worked out well enough, and by the end he had developed a phobia for whores (not in the original module, but when my go-to catographer included a brothel in the townscape, I let it stand and threw the redneck Ableton sisters in). Despite the horror-movie feel, we were able to have plenty of laughs when I wasn’t ratcheting up the foreboding-meter. 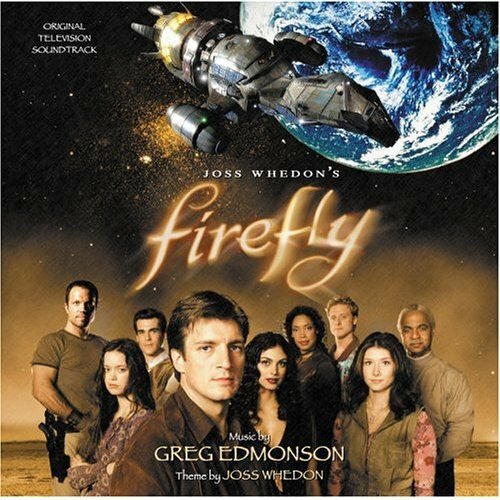 The Firefly soundtrack worked well, with “Cows / New Dress / My Crew” fitting for introducing the characters on the covered wagon and dealing with a broken wheel, “Whitefall / Book” perfect for entering the town, “Mal Fights Niska” for the first encounter with the Hounds, “Reavers Chase Serenity” for fleeing through the woods, and finally, “Burgess Kill / Captain & Ship” for the fights with the Master of the Hunt. “Inside the Tam House” would work well as a sort of epilogue ambience as the adventure unwinds and the sun rises at last. And you can’t forget Seether’s “Country Song” or Cage the Elephant’s “Ain’t no Rest” for character creation. At the end of the day, I think I might have found more Savage converts. Drew said the poker game against the Devil was the most original and enjoyable way to play a mage he’d ever seen. The drama at the table ran high when Tom had his dog leap in front of the Master of the Hunt to save Michele’s character from what would otherwise have been a deathblow. Luckily it hadn’t hit any vitals, and he rolled two raises on his first aid. Snipps (what an unfortunate name for a male dog) was okay, but wouldn’t be seeing combat again anytime soon. And Alex got to relish knowing what all the different pistol’s/carbines/rifles meant, and appreciated the detail. And I might have made one of myself. I was originally going to run a Dark Sun module for them, but was dreading the thought. When we found out one of our group-mates wasn’t going to be able to make it, I asked if we could change systems. Instantly I found my enthusiasm for GM’ing again. It was easy for me to run and, most important of all, fun. I think what really puts me off about D&D is the sheer time required for battles despite my best effort to make them quick and deadly. Ultimately, I believe it’s the power cards that does it. It’s the difference between one sneak attack or a ranger’s two hits and having to read “Sly Flourish” and “Twin Strike.” New players get the first two easily. But give them the numbers and terms on the At-Will’s and they’re baffled. Next I’d like to try Burning Wheel Gold, which just came out on their webstore. It looks simple but gives me the depth I want for my characters. I just need to figure out the advancement system and we’re set. But Savage worlds still has something on both: it doesn’t require a printer. We made due with three Explorer’s Editions and looseleaf for everyone. There’s not many games you can say that about anymore. Digital is everywhere, so it felt good to do char-gen by hand again. I’d say that’s worth something nowadays. To be perfectly honest, I found myself in the exact same position this summer. With almost half of my group scattered around the nation for the summer, playing D&D was a hit or miss option. We just could never manage to get a balanced party together. Instead, I swapped out for Deadlands, and we haven’t looked back since. “The Flood” has been a blast for my players, most of whom have never played Savage Worlds or Deadlands before. After this one, I think I’m going to fix them up with Hell on Earth–hopefully it’ll be out by the time we finish “The Flood”! I shared about this on the Pinnacle Forums here a while back and a lot of others were equally enthusiastic with the idea. 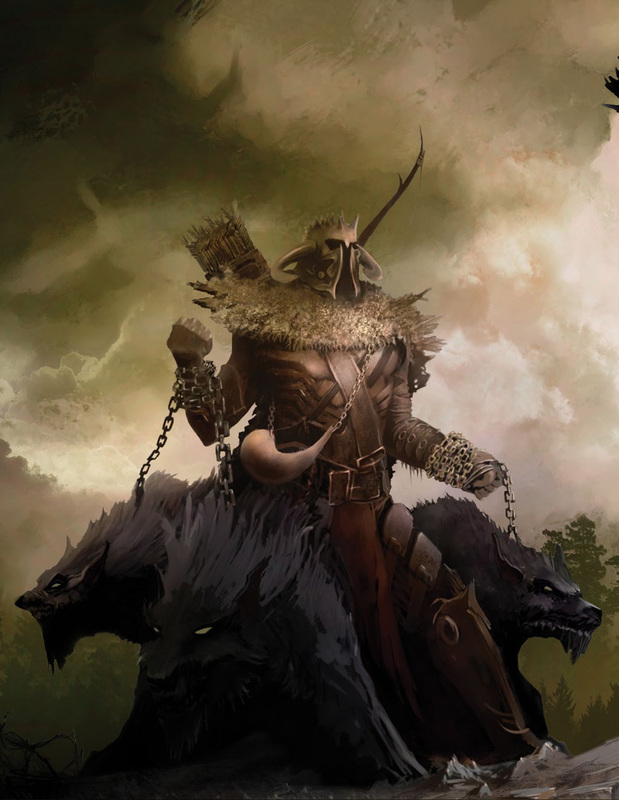 One person even decided to do The Wild Hunt: Reloaded as their first ever Deadlands module and modified a Deadlands monster to fit the scenario. Thanks for sharing about this game!